Mieng Kham is a great, easy to make (albeit a bit time-consuming) appetizer or snack. It’s fun to eat and healthy too! This is an excellent dish to serve at a party. Dry roast the coconut in a wok on medium high, stirring constantly to avoid burning. Cook until the coconut is medium brown, about 5 minutes. Set aside the amount used for the sauce, and put the rest into a serving bowl. Cut up all the ingredients which are not to be put into the sauce into small 1/4″ pieces. Arrange in small bowls, or in piles on a plate. Now, for the sauce… In a stone mortar and pestle, pound together the shallots and galangal until fine. Set aside. In a small sauce pan, add the water, fish sauce, palm sugar & shallot/galangal mixture. Boil over medium heat to reduce the sauce to the thickness shown in the picture below. You’re going to boil off about 1/2 the liquid. Make sure to keep stirring every now and then. Add the roasted coconut, remove from heat, and put into a small bowl. To eat… Take a leaf and fold the bottom to make a pouch (see large pic above). Put a large pinch of roasted coconut in first, then follow with a piece or two of everything else from the serving bowls: shallots, lime, ginger, peanuts, shrimp and a chili if desired. There is no ‘proper’ order to put them in. Then, add a bit of sauce on top, roll the leaf to make a packet, and eat in one bite. Eating Mieng Kam is like a taste explosion. 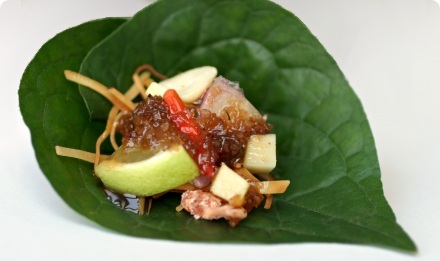 In Thailand, Mieng Kham is usually served with :betel leaves:. These may be next to impossible to find outside of Asia. Instead, we recommend lettuce, :chinese broccoli:, or a similar broad leaf vegetable. You can find pre-shredded coconut in the baking section of the grocery store, if you don't feel like shredding fresh coconut. But make sure you buy it unsweetened. hi! i had something like this at the chatuchak market in thailand. just wondering how it is made….i had leaves with something sweet and tangy in a skewer….is it mieng kahm? It could be mieng kam… Do you remember if the insides had crunchy bits like toasted coconut and peanuts? The leaf was fresh, and not grilled, right? I’m thinking what you might have had is pre-wrapped Mieng-Kam-on-a-stick, ‘to go’ style. I can’t think of anything else offhand which would have a sweet and tangy inside wrapped in a fresh leaf. So I’m guessing this is probably what you had. The leaf is atually called shaploo/chaploo in Thai or lalot in Vietnamese. It is a vine and the heart shapped leaves are used for Miang Kam. In Vietnam the leaf is wrapped around ground meat and spices and grilled. I have one plant, but usually just buy the leaves at the Laos/Thai market in Richmond, CA. A good way to toast the coconut pieces is in the toaster oven, but watch carefully! You can fold the little bundles and pin with a thin bamboo spike that is about 1 1/2″ long or less, but be careful hey are sharp. Works great to hold in the ginger, chiles, coconut, lime, garlic, etc. YUM – love these. There are many variations on this type of snack that is very popular in Isaan. Just use lettuce or spinach leaves – its still delicious. I made these but modified the recipe a little. I omitted galangal since I hardly ever cook with it, and added tamarind and dried chilies to the sauce. I subbed Meyer lemons for the limes since they’re thin-skinned and b/c my uncle has a tree. 🙂 Still yummy. Did you actually use betel leaves (from the vine?) or wild betel leaves (from the short shrubby plant?). I used wild betel leaves, which VNese call la lot, and I was a bit disappointed that eating them raw didn’t have the same fragrance or aroma as cooking them does. i just stumbled across your website and it’s just beautiful! so helpful, and very elegantly designed! this looks great, and i will definitely be browsing your archives for more! I use a leaf which grows on the ground. It’s kind of a wandering plant, almost like a vine, but doesn’t grow up walls. It really gets around though. It doesn’t grow so tall, maybe only one foot? so now i know what it’s called! its a really wonderful snack…!!!! gosh i really miss my times spent in thailand! haha, and i always get abit greedy and pack in loads of ingredients! We love Mian Kam in Nebrasks. My wife is Thai and found the perfect leaf the Nasturtiums flower that grows in most areas in warm weather and the flowers are a bonus for the bundle. They both have a spicy taste. Adding flower to the spicy bundle in the leaves. The plant needs full sun and and the leaves get about 3-4 inches. Shaploo leaves are usually found at Thai/Laotian markets or Lalot at Viet markets. I also like the peppery flavour of using nastuirum leaves! Mieng Kom lady was at Wat Mongkolratanaram in Berkeley, CA today. Yummy! Perfect summer food! I love this dish, it’s so refreshing and delicious with all the mixture of different flavours in one tiny packet…yums! Hi…have tasted several time at our local Thai restaurant in Kuching, they even use baby kailan. 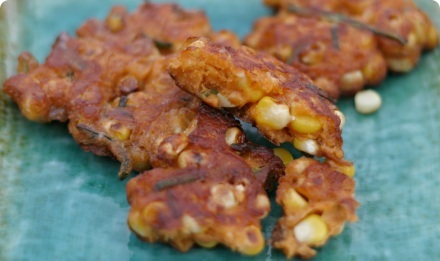 A little bit chewy though….but acceptable.will definitely try your recipe. thanks. I can’t even find betel leaves in thailand! One grocery had them but only as part of a kit for tourists, not in the produce section. Do Thai people really eat this dish? You’ll have better luck at a vegetable market. What part of Thailand are you in? Maybe try Pak Khlong Talat Market,love going there for flowers and snapping colourful photos! and I am sure Khlong Toey Market has them, a great local market love the fresh fish and veggies there. I love the markets in Thailand!!!! Yes Tai people eat these in more than 20 variations. The bai chaploo leaves can be found at open local markets. Where are you located? 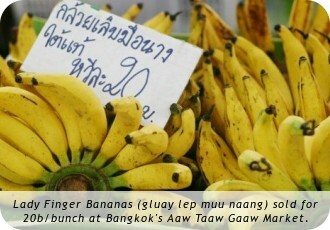 In Chiang Mai they are at Warrarut Market, in BKK many neighbourhood markets carry them. I made them yesterday for a family get together and used large spinach leaves which have a thicker tooth than lettuce leaves. I love chaploo but very few markets here carry them. There are versions of Miang Kum made with beef, noodles, jellyfish, pork, chicken, pomello, etc. Love these eat out of hand snacks. Lucky you living in Thailand!!!! I have traveled to Thailand 30 some times, each trip is usually for a month plus a few weeks to Vietnam, urma, Cambodia, Malaysia, Laos, or Singapore. N. Laos is my second fav spot. It is like N. Thailand was in the mid 1980’s when we first traveled there with our 3 children. opps Thai, but probably Tai people also eat them. I understand the use of the leaves as a wrapper originated on the Burmese/Thai border. Tai are also known as Shan. Tai are in S China, also in Burma and Thailand and are known as Shan. The Bai Chaploo leaves grow quite well (actually profusely) in my window in a rather cool, temperate climate – I take it outdoors in summer. The trick is to find a shop where you can buy leaves with a bit of stem. It doesn’t take much stem to produce roots if set in water in a vase, and when planted in ordinary potting-soil it makes pretty, dark-green leaves on hanging vines. Will readily flower as well, the flowers resembling tiny, white cobs. Is related to black pepper.